In 2011, my son Joey had a college internship in northern Uganda. 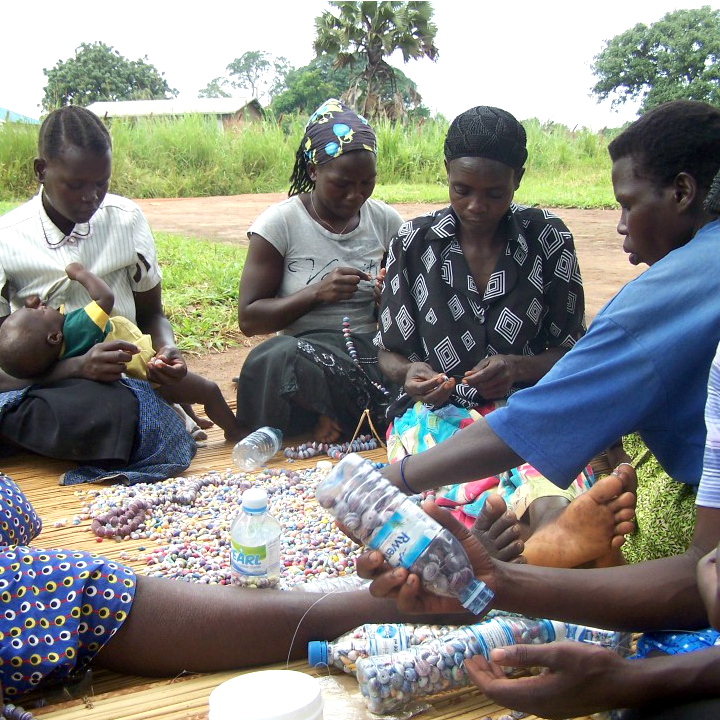 He met a group of women who were learning to make paper beads, as a way to support their families. Most of them were supporting orphans of the recent war or Aids, and they needed money to pay school fees. They were looking for a market for their work. At the time, I was manager of a fair trade store in our town, and agreed to sell some of their first products. As time went on, I became more involved with this group of ten, which called themselves Women of Hope. 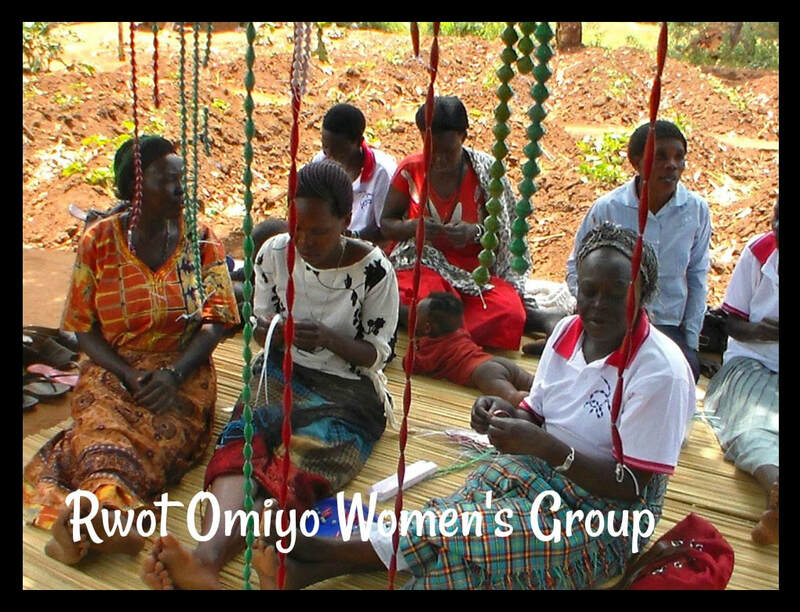 I began to visit Uganda regularly to foster our relationships, and exert some influenced on the styles being made. I began to sell the beads at craft fairs and church events. Noticing that so many women were struggling to put their children or grandchildren through school, I started The Sparrow Fund, a sponsorship program that now supports the education of about seventy children. In 2014, I decided to introduce African batik fabrics to the collection, and began working with a seamstress I met in the market in Gulu. 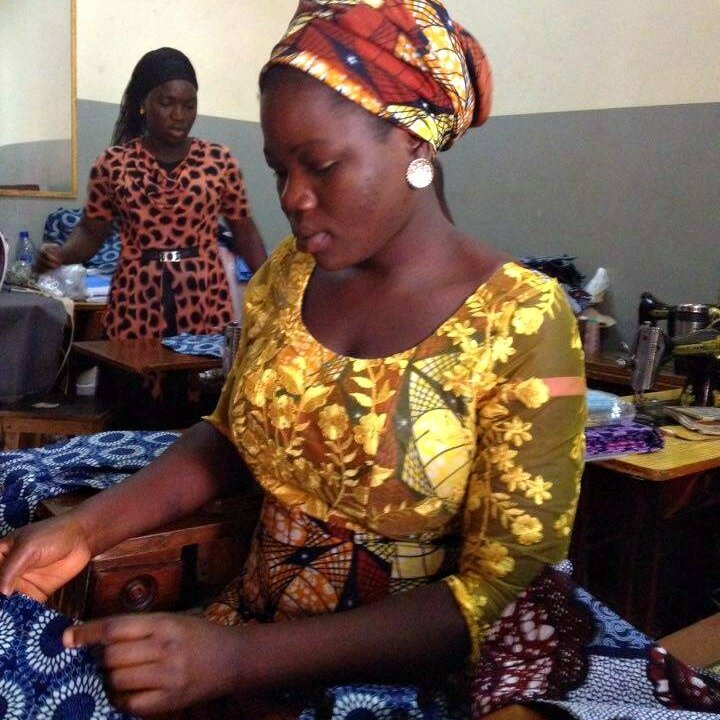 Lydia was one of the Chibok schoolgirls who were kidnapped, but she escaped by jumping off the truck. By 2015, Women of Hope had reduced in size, due to women moving and changing life circumstances. 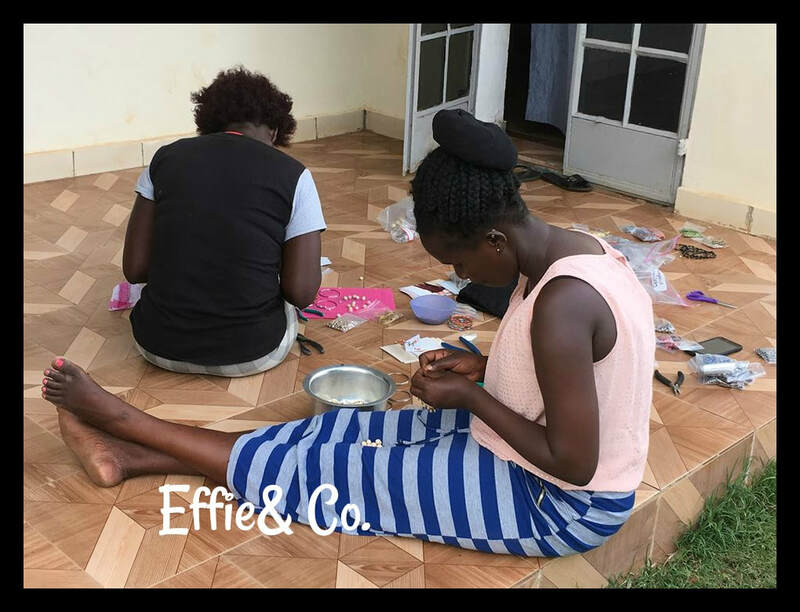 I added a new group of beaders, Rwotomiyo Women's Group, and started a small group with my now daughter-in-law, Effie and her friends and family, so that I could initiate some new styles using metal charms and shapes, especially for earrings. We call it Effie & Co. Early in 2017, I traveled to Nigeria with a church work camp. Our denomination, the Church of the Brethren, has a larger following in Nigeria than in the United States, but they are in the area terrorized by the group Boko Haram, and several of our members have had to flee their homes to camps and urban communities, while they wait for peace. There are very few opportunities for employment, and in addition to income, they need something to fill their hearts, minds, and souls. I have begun a sewing project in Nigeria, which will be called Lafiya. The focus of the Lafiya collection will be on products used to care for ourselves, like rice therapy bags and natural ointments made by a group of Boko Haram widows. Look for more on that in the future!